For top candidates, the goal of a primary debate isn’t to wow the crowd or surge in the polls, but to confirm their ability to win and handle the presidency. From this point of view, the “winners” and “losers” of the debates can end up looking a lot different than what you see on Twitter. A candidate who gets by without much notice could be a winner; a candidate who gets the most attention might, in doing so, have denied himself the elite support it ultimately takes to win. With that in mind, I suspect most pundits will conclude that Jeb Bush did not do well, no matter how one looks at it. Did he make any great errors? No. He even did well at times, and probably grew stronger as the debate went on. But he did not always nail tough but predictable questions, like on the war in Iraq. There were many equal or better and more conservative alternatives. All of his top three rivals — Scott Walker, Marco Rubio and John Kasich — had good performances. 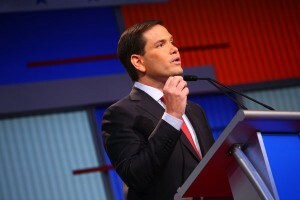 Mr. Rubio, the senator from Florida, has a good a case to be considered the debate’s top performer. A weaker Mr. Bush probably benefits Mr. Rubio as much as anyone, and if Mr. Bush raised questions about whether he would be a great general election candidate, then Mr. Rubio added yet more reason to believe he could be a good one. Mr. Rubio still has the challenge of figuring out how to break through a strong field in a factional party. It was Donald Trump, though, who might have had the weakest performance. No, it may not be the end of his surge. Others in the field — Ted Cruz, Rand Paul, Ben Carson, Chris Christie and Mike Huckabee — probably didn’t bolster their cases. Few made mistakes. All had their moments, especially Mr. Carson on race and Mr. Cruz on ISIS. Many of those moments might have been good enough to earn credit among their natural supporters. But I doubt any of them did so well as to earn the media attention or grass-roots energy necessary to move from the middle to the top of the pack. But this could change if the media — either conservative or mainstream — coalesces around a narrative that makes any of these candidates a victor.